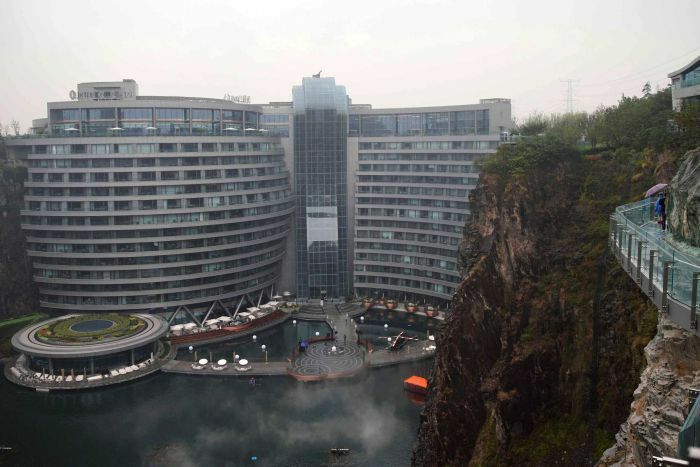 The world’s first “ground-scraper” hotel — plunging 88 metres into an old quarry on the fringes of Shanghai — is set to open its doors to the public today. 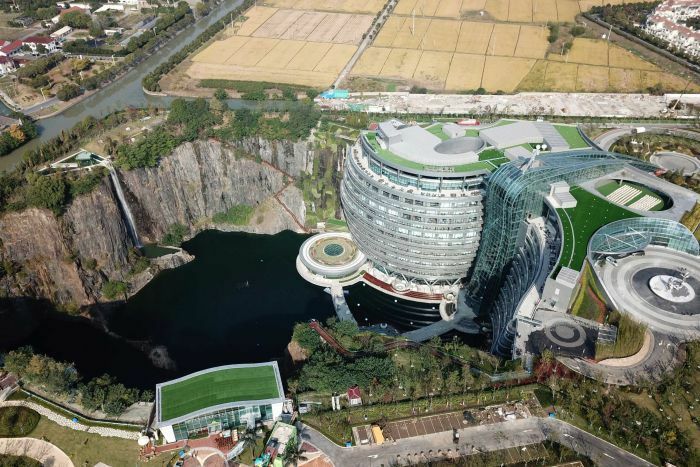 Located 30 kilometres from Shanghai’s Hongqiao airport in the Sheshan Mountain Range, the 336-room hotel comes complete with sports and recreation facilities including rock climbing and bungee jumping. While the hotel already had a soft opening earlier this month for invited guests only, room reservations will officially open to the public today. Despite being dubbed by some media outlets as the world’s first underground hotel, there are actually dozens of underground accommodations around the world from Coober Pedy in South Australia to the Grand Canyon Caverns. “I just want to know if their cups are cleaned properly,” said a Weibo user with the nickname Wangshenjing. 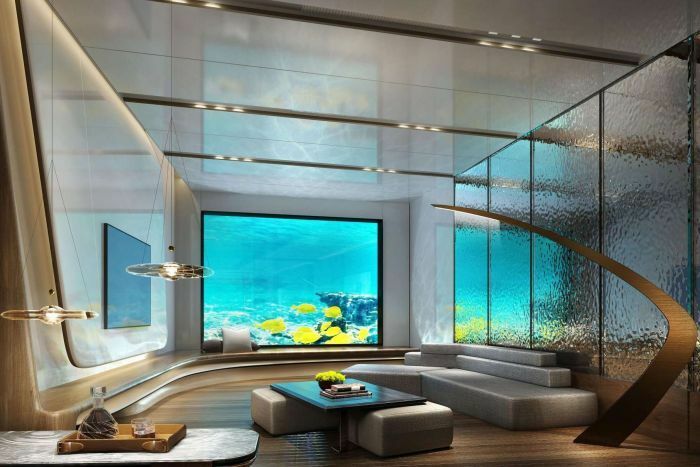 “It’s the first time to turn an abandoned quarry into a wonderful hotel beneath the ground,” he said. Xu Shitan, vice chairman of Shimao Group, told reporters they could have “abandoned the quarry” but instead they “turned it into a treasure”.